Many business models have been built upon the foundation that bigger is better. Business models such as Barnes & Noble, Best Buy, Home Depot, Wal-Mart, Costco, Men’s Warehouse, and more were all predicated on the presumption that massive selection would act as a magnet pulling in customers from miles away. Does the continued demise of Blockbuster signal an end to this business model? Like the other companies, Blockbuster built superstores with unparalleled selection and size. However, it seems that Redbox’s minuscule selection coupled with many locations (and cheap pricing) is a superior business model to the Big-Box strategy of Blockbuster. For instance, there are currently 19 Blockbuster locations in greater Indianapolis, Indiana and 162 Redbox locations. The typical Blockbuster has approximately 8000 DVDs vs. only 500 in a Redbox machine. 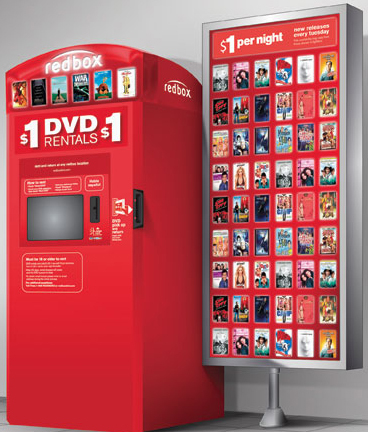 The big-box business model would indicate the Redbox does not have enough selection to be successful. However, it appears that convenience, de minimis $1 pricing, and reasonable selection trumps selection or product depth in the video rental industry. One has to wonder if this trend will expand to other industries? Could someone create a book vending machine loaded with bestsellers? Best Buy and Apple already have mini electronics stores inside a vending machine at airports. Could get Big-Box model be destroyed by “cream-skimming” machines? That is, as vending machines get less expensive, could they be used in fashion similar to Redbox to sell the fast moving, popular products? This would leave the physical Big-Box store without a major profit center. Certainly, there is a limit to how the Redbox business model could be moved to other arenas. It seems the criteria for success are: de minimis or cheap pricing, better convenience, more locations, and small but reasonable selection. Good luck to all the new entrants!